Tens of thousands of readers of 'Cracking the Code- The Fascinating Truth About Taxation In America' have taken control of their own resources, in accordance with, and respect for, the law. The likely total amount reclaimed by these good Americans so far is upward of several billion dollars. Click here to see D.'s 2005 Utah victory. 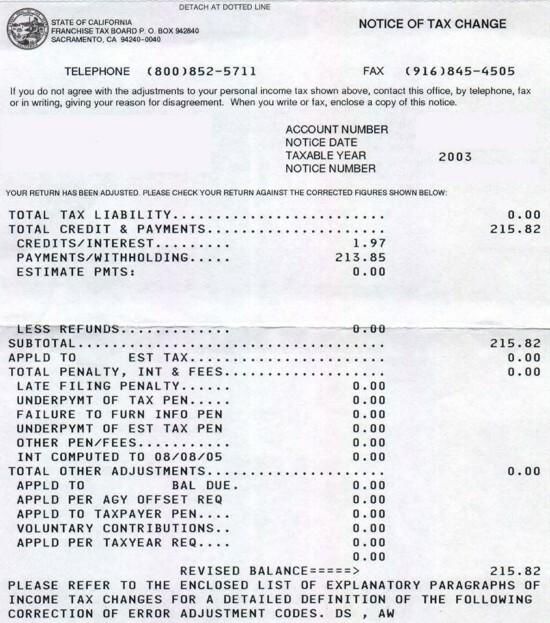 This is a 'Dazed and Confused' refund, of the sort discussed here. 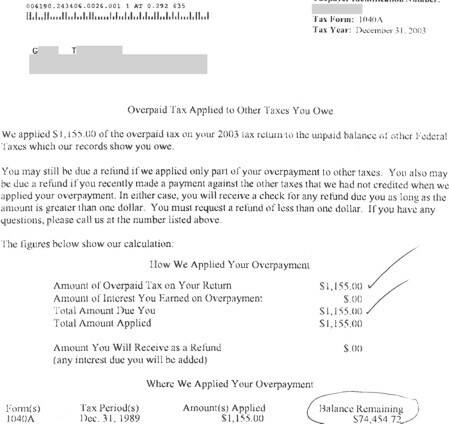 To see the docs associated with this refund, click here. 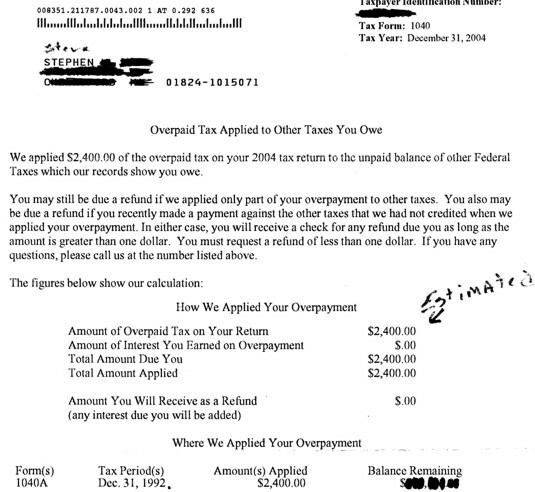 Click here to see the docs associated with this refund-in-progress, which is of the kind discussed here. 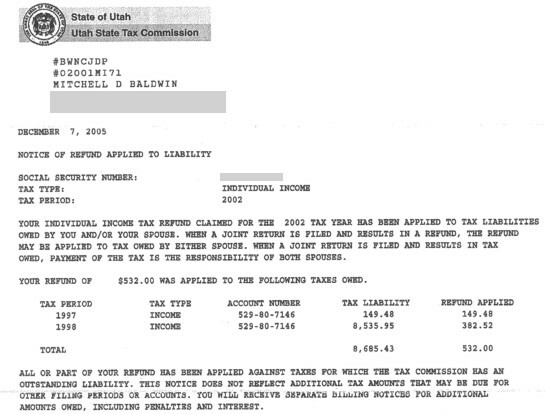 Troy points out that all but $24 of this refund consists of taxes withheld as Social Security and Medicare 'contributions'. 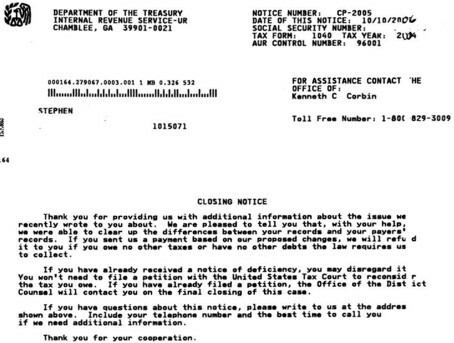 The docs Troy filed can be seen here. 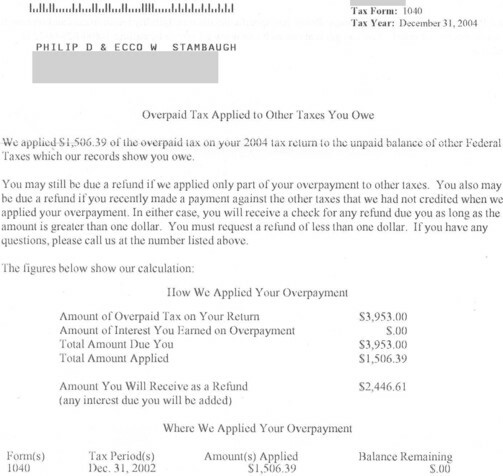 The docs associated with this refund can be seen here. 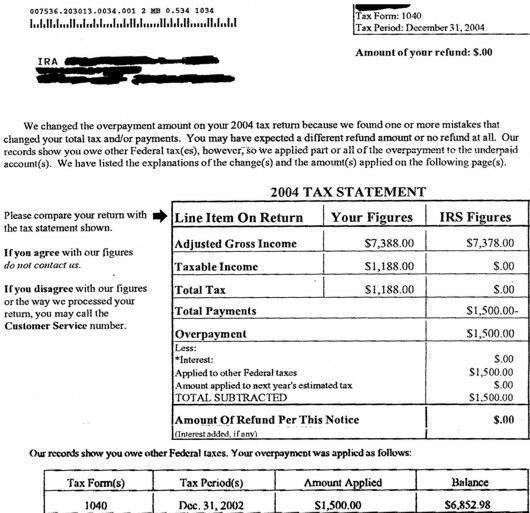 After Brent corrected the relevant information returns as to "wages" paid by his small business, the IRS promptly acknowledged the resulting changes in taxes owed for each of the three quarters of 2002 during which Brent's company had done business, and followed up the next day with these three refund checks. 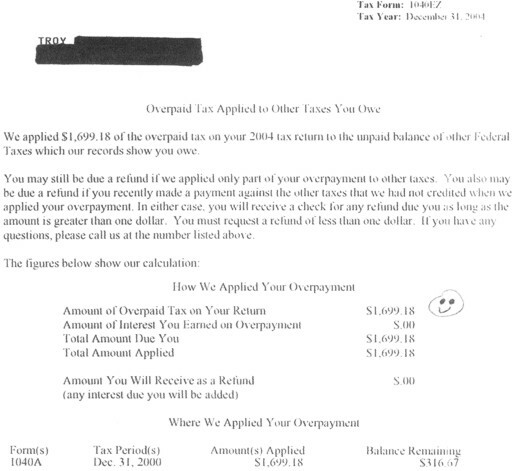 This refund concerns withholding from only one month's earnings-- the rest of the year G. T. worked for himself and was made the subject of a number of 1099s but no additional withholding. 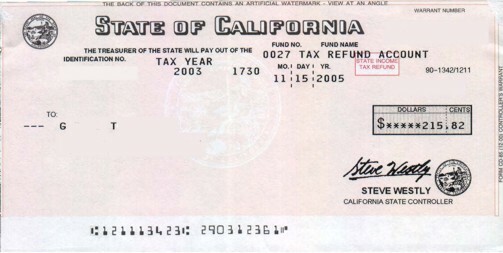 The California DOR transcript associated with this refund can be seen here. 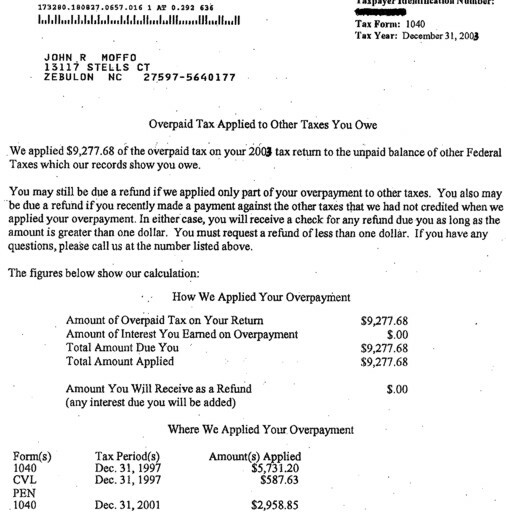 The documents associated with both of these refunds can be seen here. Despite the fact that those whose victories are on display here did nothing but insist that the law be applied as it is written, they did so in the face of fearful threats and cunning disinformation from the beneficiaries of corruption. Their actions took great courage and commitment, and I salute them all. NOTE: Whether any given individual is entitled to a refund depends on a number of different factors, and no one should presume that they are so entitled simply because they see that others are. Each person should educate himself or herself about the particulars of the law, and make his or her own determination in this regard. To get on the Lost Horizons mailing list, send an email to SubscribeMe 'at' losthorizons.com with your name in the message field. A Few Words About Tax "Reform"
NOTE: The documents displayed on this and any linked pages, and any associated comments, are posted with the permission and cooperation of the upstanding Americans with whom they are concerned. 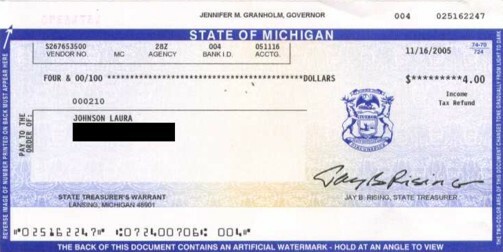 When a return is posted in connection with any refund or other responsive document, it is complete-- that is, what is posted is EVERYTHING filed as a return in connection with that refund or document, unless otherwise indicated.